Chef Arielle Goldrath married Scottish-American Grey’s Anatomy star Kevin McKidd in March 2018. She was 6 months pregnant during the ceremony. She wore a full-sleeve, floor-length lace gown with gorgeous red hills. In May 2018 she gave birth to their firstborn. 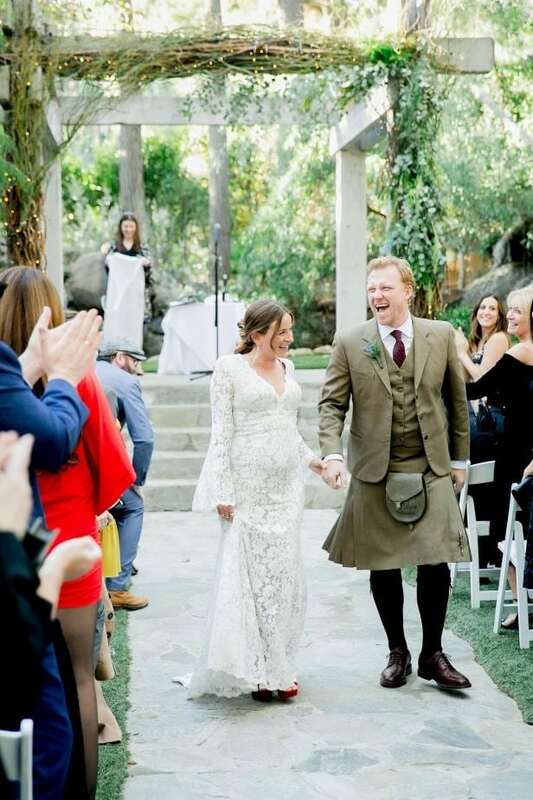 Fun Fact: The wedding ceremony followed traditional Scottish rituals as McKidd is of Scottish descent and many of his Grey’s Anatomy co-stars were in attendance.